Banning the sale of bottled water in public facilities and at municipal events. 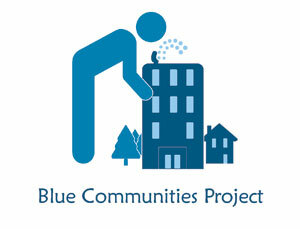 In 2012, members of the Comox Valley Chapter made presentations to the Village of Cumberland, the Town of Comox, the City of Courtenay and the Comox Valley Regional District about the Blue Communities Project. Cumberland and Comox Councils subsequently passed the first two motions and amended the third to say they would “work toward” phasing out bottled water. The Chapter continues to work with these municipalities as they move towards achieving this goal. We will be making further presentations to the City of Courtenay and the Regional District encouraging them to become Blue Communities. This entry was posted in Issues, News and Events, Water by riverside11. Bookmark the permalink.